Life insurance is really important when you have a young family, very little assets and a mortgage you can’t jump over. Over time as you reduce your mortgage, your children become less dependent, and you build your assets; your need for life insurance becomes less and less. Why do you need life insurance? Well I could paint a picture here of a young family, the mother is staying home to look after the three children and the dad goes to work and earns the money to live off. They have a $400,000 mortgage of which they only meet minimum repayments so have barely paid down, and they had to borrow to the maximum of 80% to buy the house and have no savings. On his way to work one morning the father was involved in a fatal motor vehicle accident. What does the young mum do to put food on the table and keep paying her mortgage? Child support payments are not enough, the father’s superannuation hadn’t amounted to more than $30,000. This helps, but it doesn’t last very long. The issue with these situations is not only the financial issues, but the emotional stress it puts on the mother, the children and those around her. If the dad had life insurance, enough to pay out the mortgage and perhaps 2/3 years income this could have given his family some breathing room. Ensured they didn’t lose the house and given the mother time to retrain to get a job that still allows here to look after her family. There are of course other situations where life insurance is also necessary in terms of keeping a business going, but this is the one we can all relate too. Centrelink is good, but it really doesn’t cover the life we are accustomed to. Life insurance can be structured through superannuation where the premiums are very cost effective as the super funds get good bulk deals for their members. This also means it doesn’t affect cashflow. A very simple solution for a young family. If you need life insurance for another reason it might be important to utilise a different method of ownership. The premiums for life insurance are really quite cost effective, especially when you are young. Can you or your family afford for you not to have the cover? 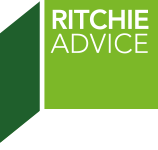 If you would like to discuss your requirements for life insurance or the choices available, the staff at Ritchie Advice would be more than happy to help.